$45 million in funding will be provided for nine new projects. ANN ARBOR, Mich. - A new center for the study of concussions, an institute for global change biology and a facility to advance the new field of cryo-electron tomography are among the University of Michigan projects to be funded in the first round of investments from President Mark Schlissel's Biosciences Initiative. Five large projects and four smaller ones, totaling up to $45 million, will be funded this fiscal year through the presidential initiative, which aims to create globally leading biosciences research programs focused on solving critical problems. A key element of the multiyear initiative will be the hiring of 30 tenure-track faculty and a one-time investment of $150 million. Twenty-eight proposals were submitted for the first round of Biosciences Initiative grant funding. The nine selected projects include researchers from all U-M schools and colleges that work in the biosciences and will provide startup funding to hire up to 14 new faculty members. • The Michigan Concussion Center principal investigator Steven Broglio, School of Kinesiology. Broglio is co-director of one of the largest concussion studies in the nation, jointly funded by the NCAA and the Department of Defense. This proposal calls for the creation of a comprehensive U-M concussion research center through the recruitment of an additional epidemiologist, a neuroscientist and a clinical interventionist. The faculty additions will build on existing U-M expertise in biomechanics, biomarkers, imaging, outcomes, sports analytics and biostatistics. The researchers will use a multidisciplinary approach to answer fundamental questions about concussion prevention, identification, diagnosis, management and outcomes. • The Institute for Global Change Biology principal investigator Allen Burton, School for Environment and Sustainability; co-principal investigators Inés Ibáñez, SEAS; Allison Steiner, College of Engineering; and Knute Nadelhoffer, Department of Ecology and Evolutionary Biology. 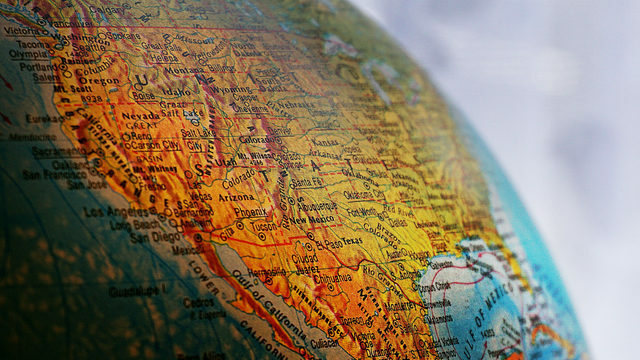 Global change biology seeks to understand the biosphere's responses to human activities. Human-caused global changes include climate shifts, land-use conversion, release of pollutants and species introductions. The new institute will foster research to understand and forecast the interactive effects of global change drivers on organisms and ecosystems. The new funding serves as a planning grant to launch the program; a larger, more comprehensive application will follow. • "Expanding Natural Products Drug Discovery at the University of Michigan," principal investigator David Sherman, Life Sciences Institute and College of Pharmacy; co-principal investigator Ashootosh Tripathi, LSI and College of Pharmacy. Sherman has created a unique natural products discovery program based on the collection of about 5,000 microbial strains—gathered at far-flung locations from tropical coral reefs to Himalayan mountaintops—and the integration of some 40,000 microbial extracts into a high-throughput screening laboratory available to all U-M investigators. The new funding will enable recruitment of three new faculty members and create a natural products discovery core laboratory to identify bioactive metabolites. This initiative will also provide the synthetic biology and microbial engineering needed to optimize active compounds as discovery tools and for potential drug development. • "From Cells to Atoms—The Future of Cryo-Electron Microscopy at the University of Michigan," principal investigators Janet Smith, Melanie Ohi and Michael Cianfrocco, of the Life Sciences Institute and the Medical School. Cryo-electron microscopy, which uses electrons to visualize frozen samples, is quickly becoming the go-to technique for structural biologists, and U-M was an early adopter of the technology. The new funding will enable the university to become an international leader in the field and a premiere destination for cryo-EM education. Among other things, the funding will help U-M researchers expand their ability to visualize molecular machines inside intact cells using a developing approach called cryo-electron tomography. 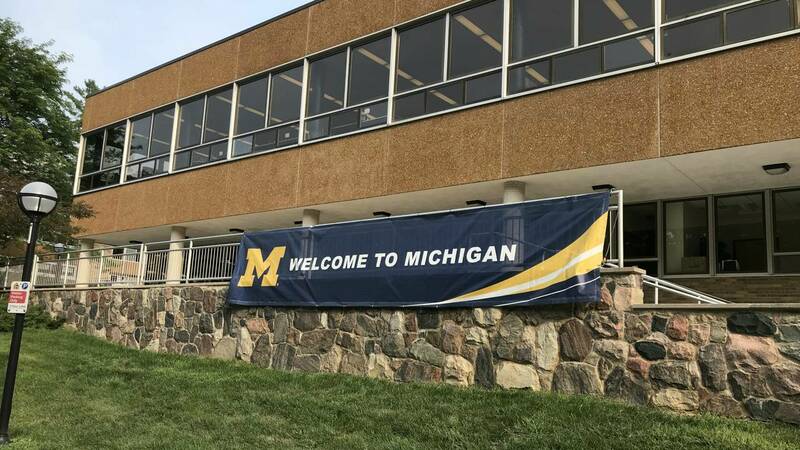 • "RNA Biomedicine: An Engine for Synergy, Excellence and Global Leadership at Michigan," principal investigator Nils Walter, professor of chemistry, biophysics and biological chemistry; co-principal investigator Mats Ljungman, Medical School. Recent discoveries in biomedicine have revealed that ribonucleic acid, or RNA, is critical to most aspects of human health and that its misregulation is responsible for many diseases. This project seeks to rapidly expand U-M's nascent Center for RNA Biomedicine through the hiring of five faculty members, the creation of three core laboratories and the funding of pilot and fellowship programs. "We envision that these investments will propel U-M to the forefront of RNA biosciences in the nation," according to the project proposal. • "The role of tissue barriers in health and disease," principal investigator David Antonetti, Medical School. • "Applying an innovation framework to improve health in rural populations," principal investigator Christopher Friese, School of Nursing. • "Enabling single-cell and locus-specific chromatin proteomics at U-M," principal investigator Sundeep Kalantry, Medical School. • "Establishing the U-M re-targeting discovery platform," principal investigator Jonathan Sexton, Medical School. In addition to the roughly $45 million in funding provided to the nine projects through the presidential initiative, $6.7 million will be contributed by the researchers' home departments, schools, colleges, institutes and centers.